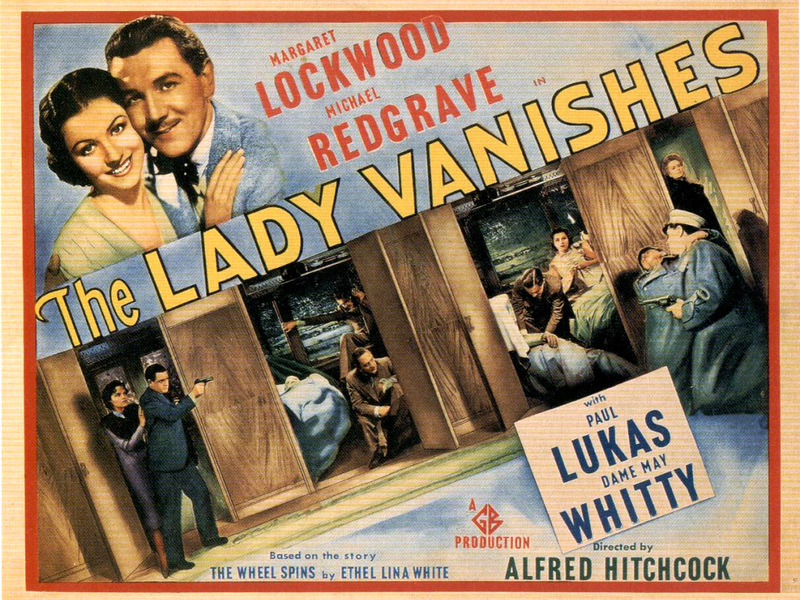 I watched a new BBC version of The Lady Vanishes a few weeks ago, and was enthralled by the concept of a woman having to prove the existence of a supposedly imaginary missing governess. The intriguing plot coupled with the 1930s glamour, Orient-Express style setting and eclectic mix of stock Period British Mystery Novel characters made me desperate to read the original story (actually called The Wheel Spins), and thankfully my local library had a copy. I thought I might find White to be a bit of a second rate Agatha Christie, but instead I was surprised to discover a writer who not only weaved an excellent tale of suspense, but whose prose is vivid, elegant and beautifully evocative, in a style vaguely reminiscent of Ann Bridge. 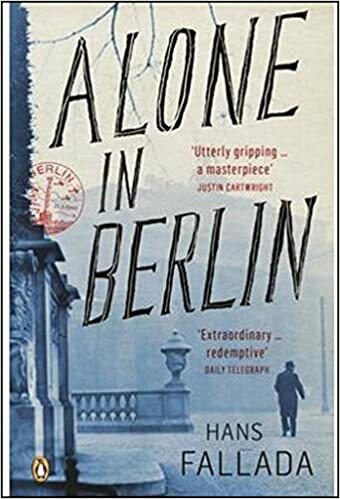 I loved it so much that I genuinely couldn’t put it down; I read it in just a couple of hours, and went onto amazon as soon as I’d finished to find more. Sadly she’s almost entirely out of print; surely this is a terrible oversight? I can’t believe that writing this good is practically impossible to get hold of! The tale begins thus; Iris Carr is a rich orphan with bad taste in friends and a fondness for frivolity. She is staying at a rustic hotel in an Italian beauty spot with a large group of hangers on; a misunderstanding leads to a falling out, and Iris decides she would like to stay on alone for a few days, leaving them to go home without her. Iris is disapproved of by the other English guests; two spinster sisters, a glamorous honeymooning couple, and a middle aged Vicar and his wife. They are all planning to go home on the last day of the season, and so Iris books herself on the train leaving the day before to avoid travelling with them. However, while Iris is waiting at the station for her train, she passes out with sunstroke, and almost misses its departure. She is shoved into a stiflingly hot carriage at the last minute, and finds herself sitting with an Italian family, an overbearing woman in black and a middle aged English governess. The governess, Miss Froy, takes pity on Iris and invites her for tea; she explains that the black clad woman is a powerful Baroness, and part of the family she used to work for. Iris quickly becomes bored of Miss Froy’s incessant chatter, and is perturbed by the strange presence of all the other English guests from her hotel on the train. Feeling unwell, she heads back to her carriage and falls asleep. However, when she wakes up, she finds Miss Froy gone. Her enquiries as to where she is are met with blank stares and denials that there ever was a Miss Froy. Concerned, Iris seeks help from an English professor and his young student, who agree to translate for her. Their questioning of the other occupants of the carriage results in the same outcome; all deny that there ever was a governess, and a doctor travelling with the Baroness’ party suggests that Iris may be suffering from a temporary madness resulting from her heatstroke. Iris is adamant that they are wrong, but with everyone on the train denying Miss Froy’s existence, and thinking Iris is a hysterical madwoman, how can she find a way to prove it before the train reaches the end of the line? There are many twists to the tale, and these provide an interesting exploration of how reliable anyone is as a witness, and how easy it is to manipulate the truth in order to suit your own ends. Iris’ inability to make herself understood, and the confusion she finds herself in after everyone starts to undermine her and label her as mad is truly terrifying. The stifling heat of the confined train carriages all adds to the tense and claustrophobic atmosphere, and the images of Iris being oppressed on all sides by faces leering as she makes her way down swaying corridors, frantically searching for a woman she is even starting to think may not exist, is pure Hitchcock. This is just the sort of novel I love; intelligent, thought provoking, beautifully written and absolutely gripping. Someone needs to reprint White’s work for a modern discerning reader; this is vintage crime at its best. The book sounds excellent but I’m still caught up by the fact that they remade The Lady Vanishes. Why, why, why? I so much preferred the original. I’ve never seen the original but from what I’ve read online it seems that the BBC version was a pretty straight adaptation from the book whereas Hitchcock’s version is far more comic in tone and adds in some other characters…I need to watch the original to see the difference now! it is more than bad…. i cannot understand how BBC made that crap??? See if you can find a copy of Charters and Caldicott by Stella Bingham published in 1985; I think you will be charmed. BBC expanded the book to a six episode series starring Robin Bailey and Michael Aldridge that is worth trying to find as well. Ok, I will! Thanks Charles! Sounds promising as I love Agatha Christie. This sound great – I know the old film and the more recent one (!) with Sybill Shepherd but never thought about there being a book, am impressed also by how much you read, inspiring! You should give it a go; I’m sure you’d love it! Oh I don’t read that much really anymore – I only read this in a couple of hours because it was due back at the library! What fun, definitely need to give this author a try. Also thanks for Little Toller book publisher tip on your other blog – has solved all my Fathers’ Day and birthday dilemma’s for my Dad for the next year or two and I may have to borrow some of them for myself… You are a great inspiration. Love you lots. Sounds wonderful – maybe Persephone should pick it up? I’d love for them to! I watched the new one as well, and agree that the original is far superior. But, there were elements of the remake that weren’t too bad…and weirdly enough, in the most recent church sale around here, I found a vintage copy of The Wheel Spins! I also have a copy of her novel Wax but have not read it as yet. I need to watch the original and see what the difference is! How lucky you are! I would love to find a copy in a church sale – I need to keep my eyes open! If you are looking for other books by this author and can’t find them because they are out of print, you might try the Project Gutenberg. It is an online organization committed to getting everything ever published saved and available to the public. I think they are starting with the oldest material before it is lost altogether. But they also have some fairly contemporary material. Certainly much material from the early 20th century. You can locate by author,.title, etc. And they are always looking for volunteers to help save these books before they are lost forever. You can download as long as you follow their rules. Good luck. Thanks Zoey, I had a look but no Ethels 😦 someone needs to put them on there for me! Timely post. The guy who owns my local second-hand bookshop informs me that there is going to be a huge revivial in 1930’s crime fiction. ‘Bout time we rebelled against the Scandi-crime wave! Indeed? That’s good to know! It’s not often I’m following a trend! I love the original movie, Rachel, and think I would enjoy the book. It is in our library system and there is an audiobook, which I just may run over and get. I’m always looking for something to “read” in the car, and this might be it. I’m so happy that you are still blogging. It’s fabulous isn’t it? I’m glad you loved it too! Ooh…watched the BBC trailer and it looks like fun, youtube has the original in full (Hitchcock, say no more) so with any luck that rain we’re supposed to get tomorrow had better materialize. The popcorn pot is coming out! My library has the book in large print which usually gives me a headache for some weird reason but I will keep my eyes peeled at the second-hand shops. If any other paperbacks by White cross my path I’ll keep you in mind! Oh Darlene, I didn’t know it was on Youtube! I shall be curling up watching that at some point this weekend I think! You need to read the book – I know you’ll love it! It’s a wonderful film – one of my favourites; I particularly enjoy the Charters & Caldicott interludes & their desperate attempts to find out the cricket score. Have got hold of the book on your recommendation & really looking forward to reading it. By an amazing coincidence just after I’d read your blog, I spotted a dramatisation on Radio 4 Extra – http://www.bbc.co.uk/programmes/b017557m but I might save it to listen to until I’ve read the book! I’m thoroughly enjoying reading your pieces – thanks so much for introducing me to some wonderful pieces of writing. I need to watch it! So glad you got the book – it’s a pleasure to introduce lovely writing to others! Thank you for the link- I shall spend some time listening to that tomorrow! So many books. . . .so little time. . . .
You need to get around to this one! “Missing”, “governess” and “prove existence” just made it for me. Seems like the story I had in mind for Rebecca before I actually read Rebecca. Ha! You’d love this then! I must try and get this book – have seen the movie and actually presumed it was Agatha Christie! I always thought it was a Christie too! It is rather like one, but better written I think. Hope you can get hold of a copy!